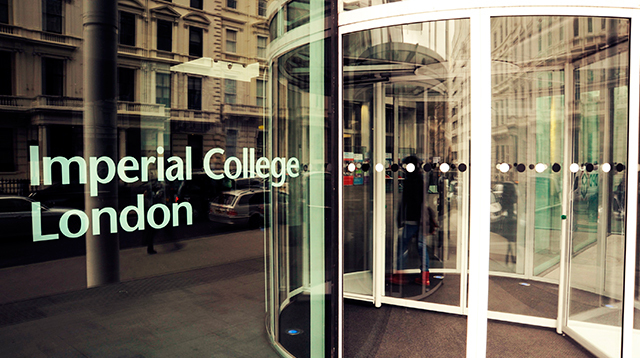 Imperial College London is one of the world’s leading STEM universities, with an outstanding reputation for science, engineering, medicine and business. Our faculties are working together to find solutions to society’s most pressing challenges. This interdisciplinary collaboration will enrich your MBA experience. Studying at the heart of our South Kensington campus, you will be exposed to new perspectives, new technology insights and surprising new partnerships. Imperial fuses business and technology. This is where cutting-edge research meets practical business application. Whichever MBA format you choose, the programme will be focused on the future of business and developing innovative solutions to real-world corporate and social issues. You will be joining a diverse community of smart, creative overachievers. You can also connect with innovators from other faculties. Initiatives like MBA Connect encourage partnerships between the Business School and the College’s thriving startup scene. London is home to more global headquarters than anywhere else in Europe. It also boasts the continent’s largest startup community. Studying at Imperial gives you easy access to these career opportunities. With unrivalled international transport links and a favourable time zone, London is also the ideal base for students needing to stay connected with other regions. We are proud to be part of such a multicultural city – where great business minds from all backgrounds are welcomed with open arms. Studying in a highly international cohort, you will be encouraged to adopt a global perspective. Competition in today’s markets is on a worldwide scale and our teaching reflects this. During the programme, you will explore global business by travelling in the UK, EU and internationally. Imperial College Business School is acknowledged globally for its excellence in innovation, and our students look at things differently. We harness the fusion of business and technology. We value teamwork. We value individual performance, hard work, and perseverance. We are a laboratory for creative ideas. One of the many benefits of a small cohort is the individual attention you will get from Careers whilst studying. Your dedicated careers consultant will support your ambitions with detailed guidance and ongoing constructive feedback. The Personal Leadership Journey is an important aspect of our MBA that will help you to identify your individual strengths and areas for development. Vibrant, diverse and well-connected, studying in London means studying in one of the world’s greatest cities. Its reputation as a global centre for business and finance attracts the brightest business and creative minds, making it the perfect place to forge lifelong networks. Surrounded by global companies, start-ups and world-class attractions, London is an ideal place to study your MBA and build your global professional network.